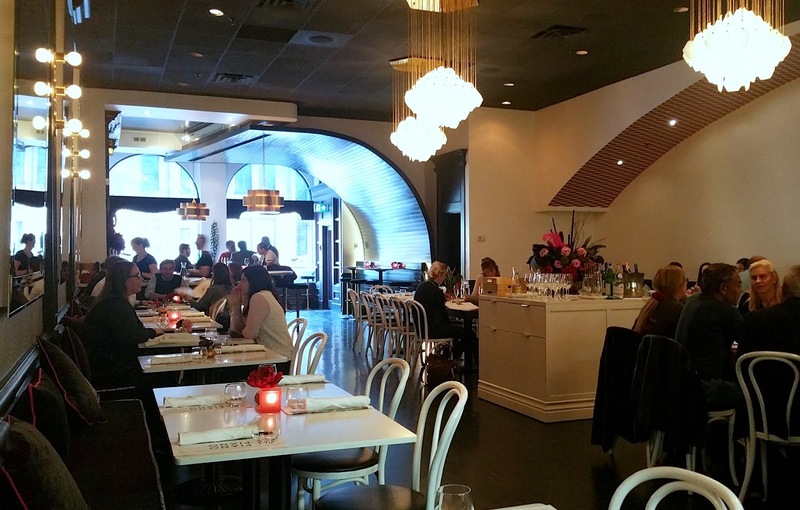 Splendido, my favourite fine-dining restaurant in Toronto, had its last service on New Year's Eve last year. Almost five months have passed and I can't say I'm over the loss; after all, the acclaimed restaurant proudly holds the title of "The Most Blogged About Restaurant" here on Food Junkie Chronicles. Ahhhhh, damn it. I miss Splendido. I miss their tasting menus dearly *sigh*. I guess the saying is true, "All good things must come to an end". But must it? Must it, really? In March, chef and owner Victor Barry re-opened 88 Harbord as Piano Piano the Restaurant (Instagram: @pianopianotherestaurant, Facebook: PIANO PIANO the Restaurant). Talk about a quick transformation. 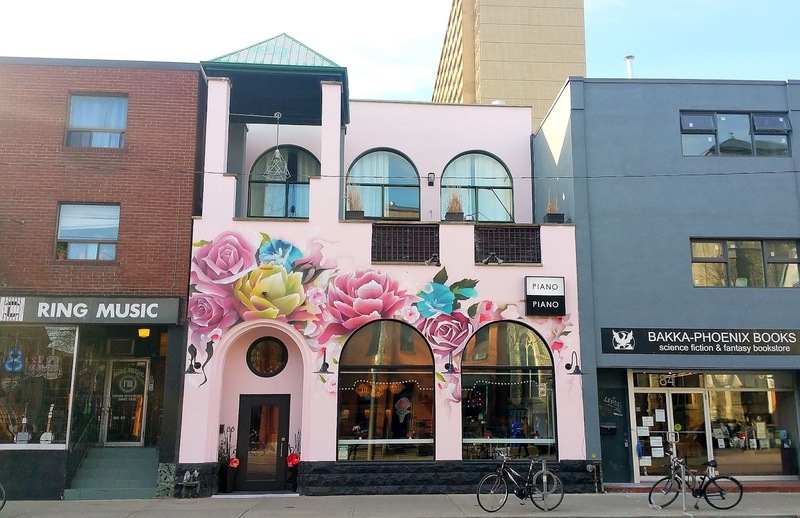 To start, the Italian trattoria is now pink and sports a bright and colourful mural. You can't miss it! In order to achieve a work/life balance, chef Barry's Piano Piano serves simple and delicious Italian food rather than the elaborate, fussy tasting menus that Splendido was famous for. Barry's goal is to have a casual restaurant where he doesn't have to be on the line every single day. He wants a place where he can bring his two young daughters, ages one and two, and welcome other families to dine. The newly renovated space is decorated with vases of fresh flowers, floral designs, brass fixtures, cushioned banquettes, as well as original artwork from Barry’s eldest daughter, Charlotte. Sorry, I digress. The restaurant name "Piano Piano", short for "piano piano va lontano", which means "slowly, slowly, we go further" in Italian, serves as a daily reminder to Barry to strive for a slower, more balanced lifestyle. All cocktails are very well-priced at $13 each. Unlike sashimi, crudo is extremely ingredient-driven. This crudo had just enough texture, oil, heat, salt, and citrus notes so it was very well-balanced. All the ingredients enhanced the dish without muddling or drowning the sea bream's flavour. It was really good. Wish there was more of it, though. The super thin, melt-in-your-mouth tenderloin was hidden beneath all the arugula and mushrooms so you can't see it. Overall, the dish could use a lot more olive oil/dressing because it was quite dry. Too heavy-handed on the pepper as well. Some acidity would also be nice to bring everything together. This was one of my favourite dishes. The seasoning and consistency on this light yet decadent foie gras mousse was spot-on. Loved the sweet pickled and burnt grapes, they accompanied the creamy foie perfectly. 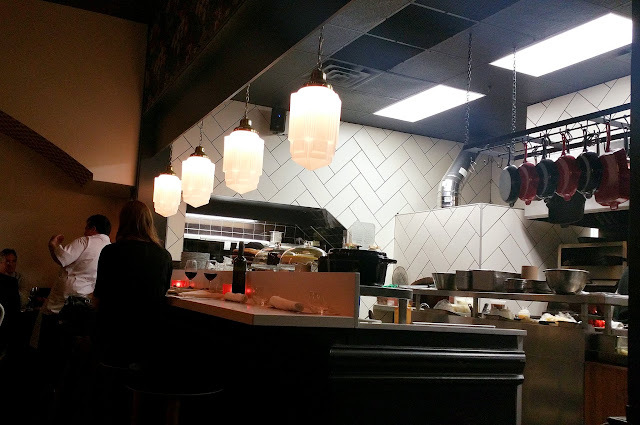 Piano Piano's pizzas are made with flour from Ontario's Arva Flour Mill and a natural sourdough starter (no yeast). The 48-hour fermentation process, which breaks down the gluten, and the pizza's 80% hydration dough means pizzas here are light with an airy crust. Barry doesn't claim that his pizzas, or anything on his menu for that matter, to be authentic Italian, so his pizza does not fit into any particular "style" of pizza. This is all fine by me because The Bruce Banner was delicious. Unless it's funghi pizza I rarely go for no-meat pies but the ingredients on this one had me really curious. No regrets 'cause I thoroughly enjoyed everything here, from the flavourful chimichurri, roasted onoins and anchovies, to the thin and slightly chewy crust. If I didn't have to save room for more food I would've wanted the whole pizza for myself. 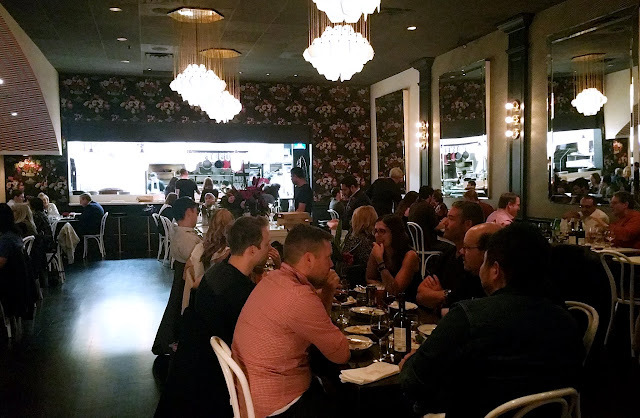 At Piano Piano, pasta is mostly made daily in-house, with the long pastas made by Pasta Fresca Baldassarre. I really like bucatini - the thick spaghetti-like pasta with a hole running through the centre - so I try to order it whenever I see it on the menu. The bucatini was really nice and cooked al-dente. No complaints there. What missed the mark for me was the sauce. I craved a brighter and sweeter tomato sauce with more tartness, which I thought would be a better accompaniment to the pork. The delicate heat, the sharp Pecorino Romano cheese were all great, but I found some pieces of the cured pork cheek to be dry and tough to eat. Perhaps a fattier, richer piece of guanciale would've helped. Similar to the bucatini, I enjoyed the cavatelli shells in this dish. Piano Piano has their pasta recipes down pat! However, since it was a carbonara, I was really looking forward to the signature, creamy sauce. The sauce here is creamy but it's still on the thin side for my taste. I wanted the sauce to be a lot richer. Also, I expected grated Pecorino on top but I didn't get that either (it would be nice if the cheese was grated tableside)! I also wished the carbonara was more peppery. Brought to the table under a glass dome, this ginger carrot cake was finished table-side with crema fresca (guess I finally got my table-side service haha). This dessert was ridiculously good, and I think three people could've shared it and be fully satisfied. This dessert, the foie toast, and the pizza were the highlights of my meal at Piano Piano. Too bad I ran out of stomach space but I really wanted to try their Piano Piano's Cheeseburger, which is modeled off of Au Cheval’s in Chicago, chef Barry's favourite burger. I've also tried Au Cheval's burger so it would be interesting to see how they compare. Did you know that the basement at Piano Piano, formerly a wine cellar and private dining room at Splendido, is now Piccolo Piano? Opened earlier this month, the 28-seat casual pizzeria serves appetizers like wings and fried calamari, and a $28 three-course menu featuring Brooklyn-style pizzas (they also have a kid's menu). To be 100% kid-friendly, Barry also put in a kid's play area filled with toys, costumes, games, and a TV!